Sentebale will host a music concert headlined by Coldplay in the public gardens of Kensington Palace on Tuesday 28 June. The concert, in partnership with The Handa Foundation and supported by The Quintessentially Foundation, will raise funds and awareness of the challenges faced by adolescents living with HIV in sub-Saharan Africa. 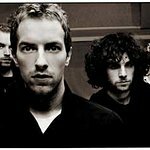 Joining the British rock band, Coldplay, will be British singer songwriter Laura Mvula, the African-Norwegian singing and songwriting duo Nico & Vinz, and spoken word artist and newly appointed Sentebale Ambassador, George Mpanga, known as George the Poet, along with other well-known faces to be announced soon. Artists will perform to an audience of 3,000 people against the backdrop of Kensington Palace. Tickets for the show will go on sale at 9am on Friday 27th May and can be purchased through this link. The money raised from the event will go towards Sentebale’s monthly Saturday clubs, caregiver days and residential week-long camps at the newly opened ‘Mamohato Children’s Centre, delivering psychosocial support to children living with HIV in Lesotho, and later this year in Botswana. Over the past 20 years, progress has been made to reduce the number of new HIV infections globally and ensure people living with HIV access treatment. However stigma, discrimination and lack of education surrounding HIV/AIDS, means young people in Africa are increasingly dying when HIV-related deaths are decreasing for all other age groups. HIV is the number one cause of death in 10 to 19 year olds in Africa; it will only get worse unless we act now. Founded by Prince Harry and Prince Seeiso in 2006, Sentebale delivers psychosocial support to adolescents living with HIV, as well as providing care and education to orphans, children living with disabilities and young shepherds, know as ‘herd boys’, whose cultural obligation of tending livestock prevents them accessing education. Cathy Ferrier, CEO of Sentebale said; "UNAIDS estimates that only 30% of adolescents believed to be living with HIV in Lesotho are accessing medication. HIV and AIDS, no longer needs to be a death sentence, but the problem will not go away unless we act now. Over the course of the next decade, it is our aim to change the tide of this epidemic. If children with HIV are educated about the virus, they not only learn about their condition but also can educate their peers about the disease, enlightening a generation and leading the way to ending the AIDS epidemic.